Easy to use specialist software for your Property Maintenance business. Making property maintenance manageable by providing fast accurate information on your jobs, your sales invoicing, your workforce and importantly, your costs. At a glance see the status of all your jobs, which jobs are outstanding, which jobs need invoicing, the status of your sales invoicing and the scheduled visits. Effective as it provides you with all the information you need to know to help you make informed decisions. It's flexible so it will grow with your business by helping create an effective property management solution. It is also affordable, it does not cost the earth so you don't have to worry about software costs. How can Property Maintenance Software help grow your profitable business? Monitor your property maintenance jobs and ensure all jobs and property repairs are completed within the agreed time-scale. Who uses Property Maintenance Software? Property Maintenance Software is designed to make things easier, which is why it is desirable in so many sectors. 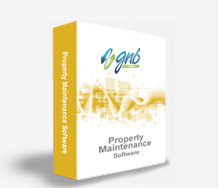 Why choose GNB Software as your Property Maintenance Software provider? Since the year 2000, GNB Software has been a specialist provider of advanced property maintenance software to a variety of sectors. With an aim to make maintenance manageable, our software has been designed to be easy to use for small to medium enterprises (SME), with GNB also providing a support service for any difficulties with the software. If you would like to trial our software, we offer a 30 day free trial so you can get a feel of how the software works. We also offer a Demo so you can understand the ins and outs of our property maintenance software.